If you have a business, you are aware of the ‘marketing funnel’ which helps you tailor your sales approach to meet the specific needs of prospects at different stages of the funnel. However, a theoretical understanding of the funnel doesn’t mean that you are instantly able to transfer this knowledge to a sustainable set of effective marketing practices. This article will explore practical ways in which businesses can successfully engage with potential customers at different stages of the funnel with one twist – focusing only on interactive content. FREE Cheat Sheet Download: Don’t reinvent the wheel – use this marketing funnel worksheet to get a 50,000 foot view of your customer’s buying journey. Click here to download it for free right now! So why is interactive content considered so important in guiding customers through the marketing funnel? It all comes down to the opportunity that interactive content provides for businesses to not only speak to their audience, but to actually engage with them through shared stories. At a time when storytelling is said to be one of the most important emerging trends in marketing, grabbing the chance to share stories with audiences has never been more important. The concept of storytelling in marketing is growing in importance as the advertising landscape continues to evolve and develop. Our customers are smart; they know that interactive content is available, and they’ve probably already used it themselves, so they question why their favorite brands aren’t using it. With more deals and funding available than ever before, sparking a sharp rise in startups, businesses are really up against the competition. Storytelling is what’s going to set us apart. The marketing funnel is no longer linear; our buyers are coming from different starting points and taking different journeys through the funnel. 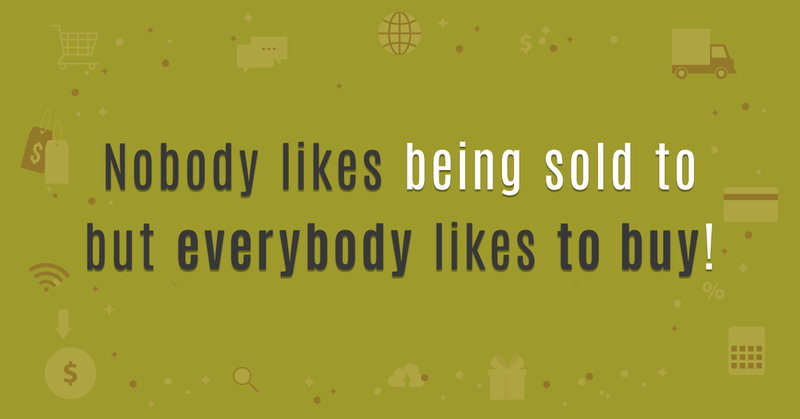 Marketing is no longer ‘one size fits all’. This last point is certainly worth discussing in greater detail. With a notable shift in the last few years to brick-and-mortar stores beginning to offer e-commerce shops, and vice versa (such is the case with the Amazon Go store in Seattle, for example), customers aren’t all coming into the funnel from the same starting point, and they’re not all traveling down the funnel in a straight line. The funnel itself still exists in its same form, but it now incorporates a multitude of different routes from top to bottom. This highlights the fact that content can’t be static; it needs to flow in line with modern customer behavior. Interactive content is actually a highly overlooked area of content marketing, and even during this time of innovation and exploration, there is a still a remarkable trend for businesses to primarily associate content exclusively with blog posts and articles. While blog posts do make up a large and important part of content marketing, there is definitely more to this form of promotion than meets the eye. The list is pretty much endless. Consider how often you run into real-world examples of interactive content without even really realizing it. BuzzFeed generates visitors through its now-famous online quizzes; National Geographic allows users to ‘visit’ historic places without even having to leave the house; budgeting websites often include handy financial tools, such as cash flow calculators. All these types of content give the audience a reason to engage. 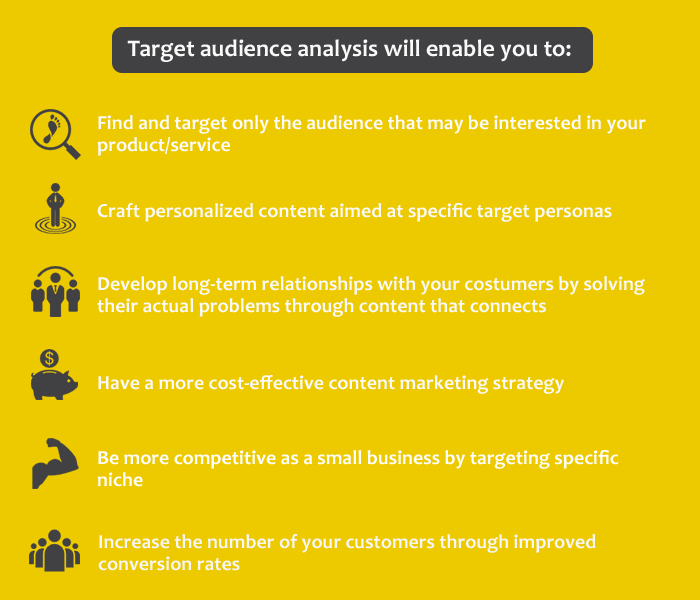 Before we even begin to think about the best ways to fit interactive content into the marketing funnel to guide visitors from the top to the bottom (using whatever route they decide to use), there is one other consideration that needs to be taken into account: target audience analysis. Target audience analysis is important because without it it’s almost impossible to know who you’re talking to — and what they want — at each stage of the funnel. If you are thinking about the marketing funnel, it means you’re in it for the long run. As it so happens, long-term plans should never be based on superficial analysis. That is why your first step should always be an in-depth target audience research to remove any guesswork from the equation. It tells you which of your stories the audience wants to hear and, more importantly, when they want to hear it. Product demonstration videos at the very top of the funnel, for example, will likely fall on deaf and highly confused ears. There is a time and place for a hard sell and heavy promotion and it definitely isn’t when a potential customers stumbles upon one of your “awareness phase” posts or immediately after they subscribe to your newsletter. Most of the time, the type of story that an audience will want to hear will change and become increasingly specific the further down the marketing funnel they travel. Content needs to be scalable and adaptable as your audience’s needs change. This is where interactive content comes in, helping to guide the customer to a suitable outcome. 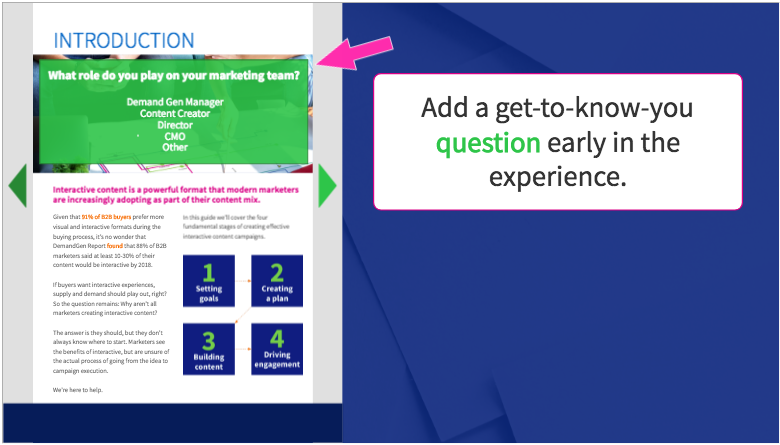 Now, let’s see how to incorporate interactive content to do your bidding at every stage of the funnel. Businesses can successfully use interactive content to generate new leads and bring an increasing number of prospective customers to the top of the marketing funnel. 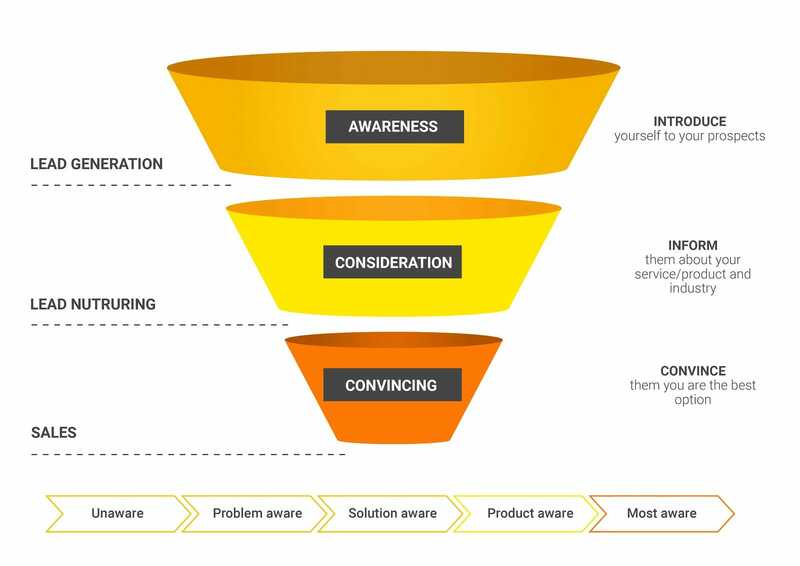 At this stage of the funnel, we need to assume that audiences are either vaguely aware of a problem which has sparked them to consider a solution, or are not aware of a problem at all, in which case it is the responsibility of the business to highlight any areas which could be improved. Interactive content at this stage can act as vital ‘data points’, giving us the necessary information we need to guide each customer to the next stage using the most effective and efficient method. Take social media discussions for example. A person’s response can tell us a lot about who we’re dealing with. We know what they’re thinking, where they are in the purchasing process, and where are they going next. The leads that can be generated through interactive content at this stage may be more valuable than leads generated in other ways. That’s because the amount and quality of the data we collect can help businesses to identify marketing qualified leads (MQLs) and sales qualified leads (SQLs). These leads are generally more valuable because they suggest that a customer is more likely to convert or take action. Data collection in marketing is a somewhat tricky topic and boasts quite a turbulent history. According to some sources, the average response rate for an e-mail survey is 24.8% — a figure that actually looks quite impressive when compared to the average response rate for telephone surveys, which stand at 8-12%. These data collection methods are failing because they’re pressurized techniques — they make the respondent feel pressured into providing information, so they fail to respond altogether. 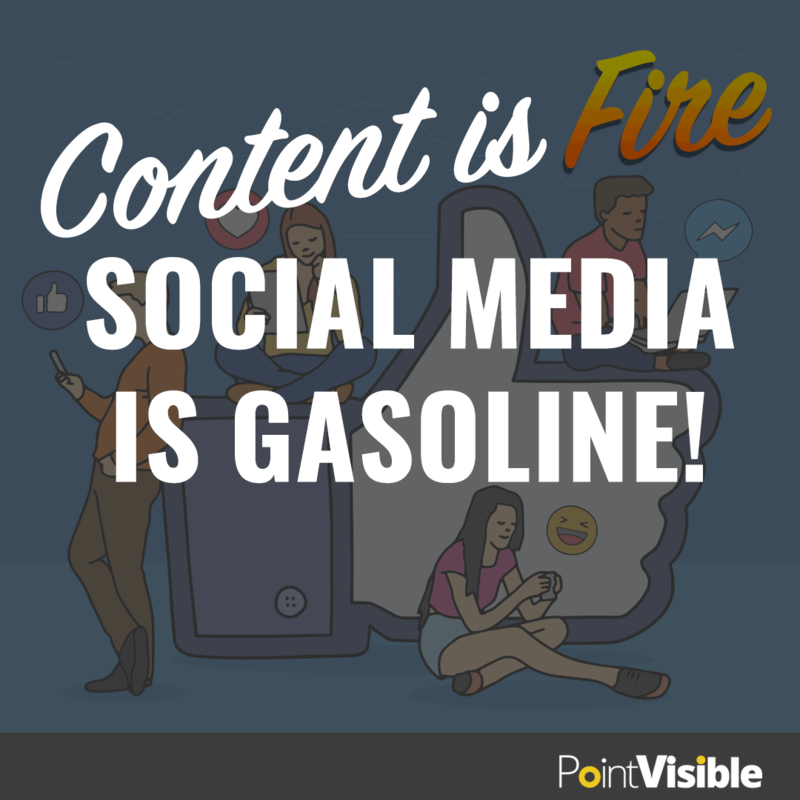 Social media posts and similar forms of interactive content are almost polar opposites. Audiences feel comfortable taking online quizzes because they’ve taken 100 of those on other sites like BuzzFeed. They feel comfortable responding to a brand’s Facebook post because they comment on their friends’ posts every day. They feel comfortable opening up in these ways which makes this a great way to collect valuable insights for your business. This stage of the funnel is primarily centered upon informing the customer and placing them in a position where they are able to fully consider the product or service that you are offering them. Information, in this instance, can mean further information about the brand (following any general introductory info at the top of the funnel), specific product or service information, or even information that poses a question to the prospective customer. But that’s not all. In fact, the top of the funnel and the middle of the funnel actually work hand in hand, with middle-funnel interactive content also assisting with awareness, visibility, and lead generation. Reports show that websites featuring interactive components rank higher than their static counterparts, but only if that content is searchable. While keywords alone may be responsible for overall search results, in terms of ranking there are many other factors you need to account for – with time spent on site and visitor engagement being some of the major ones. And at this stage of the marketing funnel, keeping visitors around is hugely important for success. Regardless of what form of interactive content a business chooses to use at the middle of the funnel, good SEO practices should still apply. This means conducting keyword analysis and using effective anchor text for any backlinks and, most importantly, creating content that’s relevant, engaging, and readable. This all helps to minimize bounce rate while simultaneously improving brand recall and providing visitors with an overall positive on-site experience – one that’s going to ensure that they keep coming back for more. For visitors who came to the top of the funnel from social media, the same social networks can be utilized at the middle of the funnel to add an additional layer of familiarity. Any interactive content that is created at this stage can be shared through social channels to boost overall visibility. When the prospect arrives at the bottom of the funnel, they’re thinking about making a purchase or taking some other form of action which suggests that they are in a position to buy. Therefore, the purpose of any interactive content used at this stage of the funnel is to ultimately boost conversion rates and encourage customers to come back. This is largely associated with direct brand engagement as it encourages visitors to not only ‘see’ a brand, but actually become a part of the ‘family’. But that’s not all. Well-designed interactive content is visually appealing, improves the impression of your website, and puts you ahead of the competition which relies exclusively on standard, static content types. It’s also important to consider the current marketing landscape. Interactive content is still highly underutilized. It is still viewed as being innovative, and naturally draws attention to itself through its unique design. Static content, however, does not. In fact, blocks of text fail to capture the attention of today’s web users. That’s because we no longer read content, we scan it. It’s reported that the average visitor reads just 20% of a web page, highlighting the fact that large blocks of text are now largely obsolete. But information from carefully designed interactive sources is easier to absorb, even when scanning. However, there is an important question that businesses should be asking at this stage: where should bottom of the funnel interactive content be used for best effect? Heatmap eye-tracking studies have found that visitors typically scan a web page in an ‘F’ shape, starting at the top left corner of the ‘F’ and moving forward and backwards along the top line, before moving down and doing the same along the middle line, and finally scanning down towards the bottom of the page. Therefore, interactive content is best placed towards the top of a web page to give it the best chance of being seen by visitors. Ultimately, passive content is going to produce passive visitors. If a business wants its visitors to take action, then it needs to lead by example and take action themselves. Many businesses make the mistake of thinking that the ‘bottom of the funnel’ is the end of the funnel – but there is actually a hidden layer lurking beneath, which focuses upon customer retention. As businesses know, retention is important, especially considering that it costs between 5-25 x more to acquire a new customer as it does to retain an existing one. Interactive content can help. Businesses will typically find that the type of interactive content that is used at this hidden stage of the funnel will have a lot of crossover with the type of content used at the top of the funnel. However, there will often be a slight difference: rather than boosting awareness of the brand in general, content at this stage may be more specific to a customer’s past buying behavior. For example, videos demonstrating alternative and unique uses for a purchased product are a great way to add a layer of personalization. As we can see, ‘traditional’ linear marketing is losing its footing in modern advertising. Today’s funnel contains multiple routes, with customers coming into the funnel from all sorts of places. That’s why it’s essential that businesses be prepared to lead the way from the top of the funnel to the bottom, ensuring that their customers don’t get lost en route. Interactive content can be used as a springboard that will help you achieve this. Why? Because moving from the top of the funnel to the bottom of the funnel is no longer a standardized process. Personalized, tailored experience is required to guide each individual customer in this ever-changing environment. Interactive content can lead the way by creating a customized route, each and every time. The overall result is a unique and positive experience that can help to boost conversions and increase loyalty. Anamarija is a content strategist at Point Visible. She is also working her way up through recovering sites from penalties. When the schedule allows it, she likes to share her experience through guest posts to help others. In the meantime, she’s surprising her teammates with yummy desserts.